Learning to fly will unlock a world of possibilities and give you unparalleled freedom to see the world. It is a truly unique experience—one of the last great adventures in our modern life—and Sporty's can help. We offer the finest training products and pilot supplies for student pilots, plus the information and tools you need to get started. For more information about learning to fly, visit our free, informational website - StudentPilotNews.com. 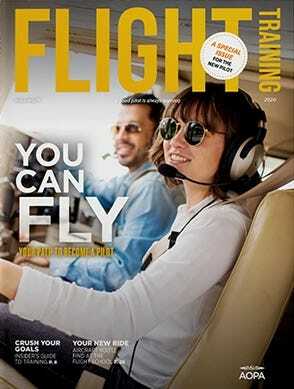 It's packed with tips for finding a flight school, saving money on your flight training and becoming a better pilot.